Writers: Raj Nidimoru (story and screenplay), Krishna D.K. Stree (English: Woman) is a 2018 Indian comedy horror film directed by Amar Kaushik and produced by Dinesh Vijan and Raj Nidimoru and Krishna D.K. under the banner of Maddock Films in association with D2RFilms. It is based on the Indian urban legend, Nale Ba, about a witch who knocks on people’s doors at night. 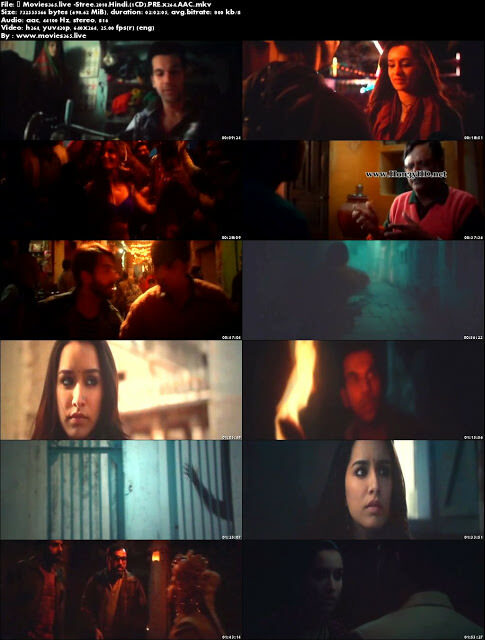 Stree stars Rajkummar Rao and Shraddha Kapoor. Pankaj Tripathi, Aparshakti Khurrana, and Abhishek Banerjee appear in supporting roles.